Z_GIS is coordinating a new 17-partner consortium working towards remote sensing – based monitoring of conservation areas. NATURA 2000 areas are critically important ecological spaces protecting species and natural systems, and the project MS.MONINA will contribute relevant management tools. With the recent kickoff meeting in Salzburg, a first step was taken towards defining and implementing new concepts and methods combining remote sensing data and thematic geospatial data with the aim of supporting public agencies in their policies and measures. European nature conservation certainly will substantially benefit from this initiative. The University of Salzburg with Z_GIS as its geospatial centre of competence are proud to lead this project with partners from 9 European countries. Soon first pilot applications in a range of study areas will demonstrate the value and importance of monitoring for the conservation of biodiversity. 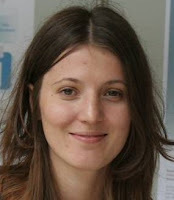 Adrijana Car, senior researcher at the ÖAW GIScience Department and director of international UNIGIS programs at the University of Salzburg, has been appointed to the position of Associate Professor in GIS at the Faculty of Economics, Department of Sustainable Tourism and Regional Development, German University of Technology – GUtech, Muscat, Oman (GUtech is affiliated with RWTH Aachen University). “GUtech is not completely new to me; as a visiting lecturer I have already taught students at the Faculty of Economics and Faculty of Science. I will now represent GIS at undergraduate and graduate levels. My research will focus on GIScience & Technology, in particular related to conceptual modeling, spatio-temporal analysis and geovisualization with GIScience acting as a common spatial language“. Prof. 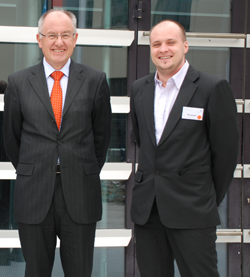 Car will continue to be connected with Salzburg as chair of the GI_Forum program committee, through research in Space-Time projects and within the international UNIGIS framework. We wish her all the best for establishing a strong education and research presence in Oman! 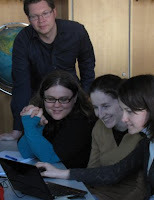 Congratulations, Adrijana – and thanks for contributing so much to Z_GIS and ÖAW over many years! "Alpine tourism in a media age"
In April 2010 research assistant Florian Fischer (ÖAW-GISciene) led a workshop on the role of geographic information media in alpine tourism at the Western Regional Congress (WRC) in Steinach, Tyrol organized by the European Geographers Association (EGEA). This video is a documentary about all workshops starting with Fischer’s contribution." 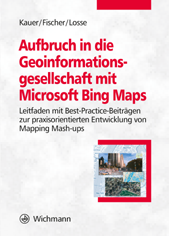 Together with Microsoft and Deutsche Post AG, ÖAW researcher Florian Fischer publishes a practical guide to the Consumer-SDI Bing Maps in order to ease getting started and stimulate the application of geoinformation technology in the economic sector. This guide provides an overview of the wide use range of consumer-oriented, business oriented and non-profit geomedia on the basis of 19 best practice contributions to the practical use of Bing Maps. Enriched with an assortment of commented training materials for Bing Maps the book allows the reader a quick introduction to application development and shows the possibilities of the Bing Maps API (Bing maps API). A new long term GIScience doctoral school was awarded to the University of Salzburg under the prestigious and highly competitive 'DK' framework of Austria's National Science Fund (FWF). 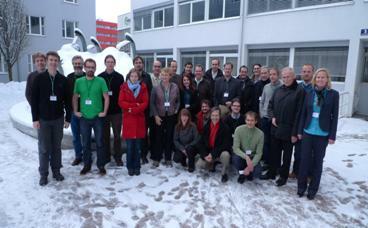 The program titled "Geographic Information Science. 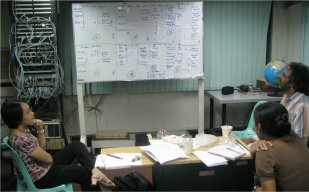 Integrating interdisciplinary concepts and methods" will select an initial set of fully funded PhD candidates in mid 2011. Prof. Thomas Blaschke, lead PI and speaker of the successful bid, comments: "This is a key achievement towards establishing the University of Salzburg as a leader in Geoinformatics and GIScience: building on our successes in GIScience research and Masters' programs, this award recognizes our PhD program on a leading international level and will facilitate research-driven career development for top-notch candidates". 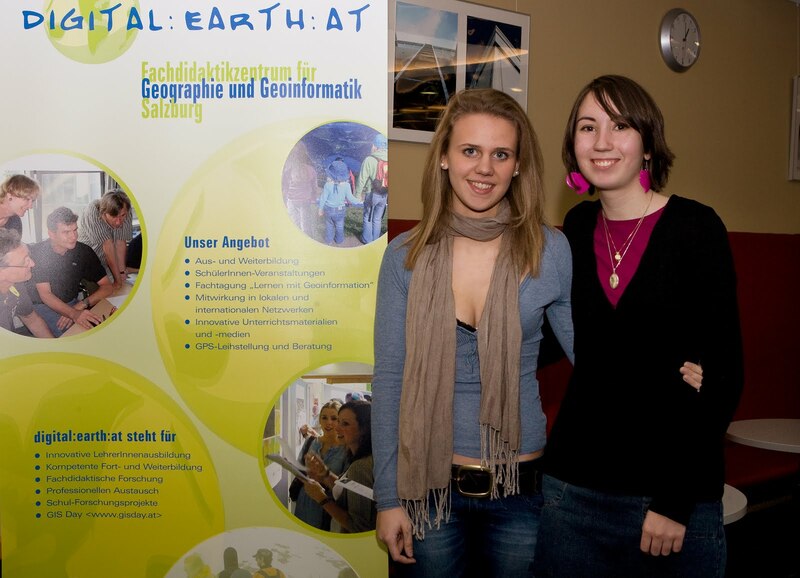 The University of Salzburg Centre for Geoinformatics is a highly regarded centre of competence in GIScience attracting international research funding, leading the worldwide UNIGIS MSc and diploma programs, and is widely known for the annual AGIT and GI_Forum conferences. 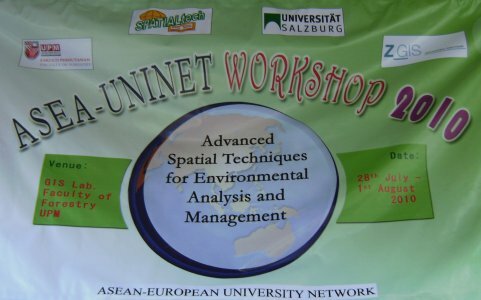 Today this workshop was opened, jointly organised by the ASEA University Network and the University of Salzburg Centre for Geoinformatics with the Faculty of Forestry, University Putra Malaysia in Selangor, Malaysia.The workshop is organised in a train-the-trainer format addressing junior university faculty from Malaysia, Thailand, Indonesia and the Philippines. In depth understanding of regional environments, both natural as well as social-economic, and their effective management for achieving broader goals of environmental conservation and sustainable development require sophisticate methodologies and efficient technologies. Remote Sensing, Geoinformatics and GIScience have developed the methods for capturing, processing and analysing various types of spatial information and have the tools for representing the present, reconstructing the past and projecting the future of regional environments. The utility of Remote Sensing, Geoinformatics and GIScience in natural resource management, environmental conservation, education, research, spatial planning and decision making, sustainable development etc. have been well established during the recent decades. This workshop will support participants and their home institutions towards faster growth of GIScience education and competence. "Multiattributive Raumbewertung mit verteilten Geoinformationen-Für ein entscheidungsunterstützendes System in der Umweltrisikobewertung." GISLERS - "Bridging GIS, Landscape Ecology and Remote Sensing for Landscape Planning"
Both events will be opening on June 29, 2010 and conclude on July 9. Registration is open until May 15, but may close earlier due to limited spaces available. For registration and further details please visit our websites -see links above- or contact us at envisdi2010@edu-zgis.net or gislers2010@edu-zgis.net, respectively. Again, the Centre for Geoinformatics Annual Report has been published as a record of achievements summarizing the previous year. Starting with an overview of our institutional mission and recent development trends this booklet introduces current Z_GIS faculty and then presents highlights from research projects, presents the impressive statistics of UNIGIS programs and details the outcomes from the AGIT and GI_Forum conferences. Overall, this brochure is directed at our project partners, highlighting the competences and capacities Z_GIS is offering through collaborative research and various kinds of joint initiatives.